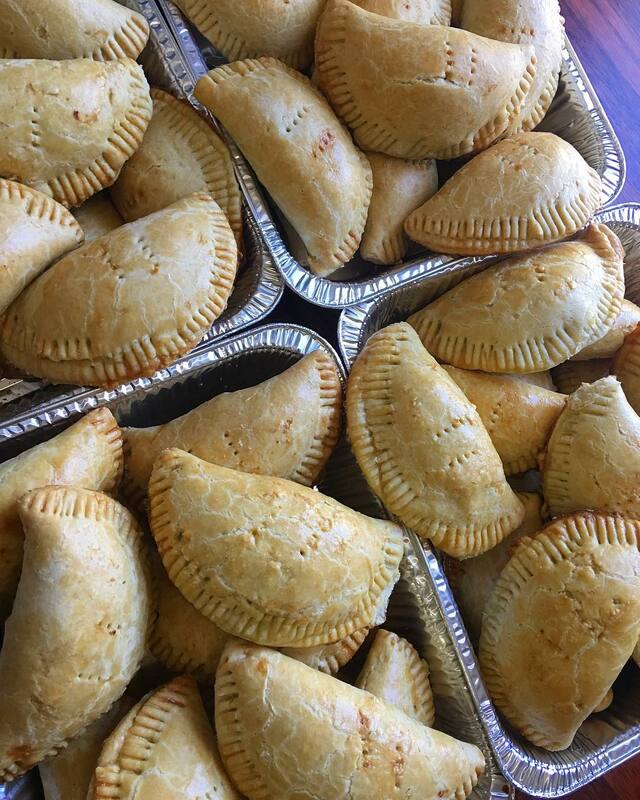 Nigerian Meat pie is one of Nigeria's popular street snack and it's loved by all ... Meat pie is not just a Nigerian thing; it is also popular in other parts of Africa. 1/4 cup milk to glaze the pies. In a hot skillet on medium heat, pour in oil, and saute onions until translucent. Add chopped vegetables: potatoes, carrots, and peppers, and saute for about 5 minutes. Toss in seasoning: garlic, salt, bullion cube, turmeric, and thyme. Once the meat is cooked, set the filling aside and allow to cool completely before assembling the pies. Whisk together flour salt and baking powder. Rub the butter into the flour, with your finger tips until the mixture resembles coarse breadcrumbs with no large lumps of butter remaining. Add cold water 1 table spoon at a time and mix with a spatula until pastry is combined and rest in the fridge. Once filling is completely cooled roll out pastry on a clean floured surface to about 1/4th of an inch thickness. Cut out 6 inch circles with a pastry cutter, and place about 2 heaping tablespoons of filling close to one edge of the pastry circle. Cover and seal pie. edges with a fork. Using a pastry brush, brush hand pies with milk and bake in a preheated oven for 30 minutes. Allow pies to cool for 10 minutes before serving.